911 Restoration Milwaukee wants to make sure your home in Caledonia remains a safe and comfortable place for you and your family no matter what. To do so, our water damage Caledonia specialists are on call to provide you with assistance whenever bad weather or plumbing leaks start causing problems for you. 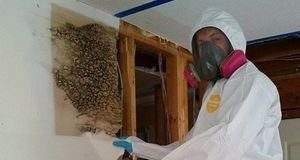 Our timely response will allow us to prevent any further harm to your home and will allow us to get your home back in shape in no time. As soon as we arrive, you can count on us to get started right away by providing you with a free assessment of the affected area. Even when the issue occurred at the inconvenient time like midnight, you can still count on 911 Restoration to be there. Our teams are available 24/7/365 to provide you with the help you need exactly when you need it. Our specialists will make sure that your home gets a fresh start, so give us a call today! One of the major water damage issues that can affect your home is a pipe burst scenario. This can leave your home flooded with category two water which can cause widespread damage to the hardwood floors, walls, and textiles among other things. Fortunately, there’s no water damage emergency that 911 Restoration Milwaukee can’t handle. Make sure to trim the trees around your property to ensure that during heavy rain or wind that the dead branches don’t impale your roof and bring water damage to the inside. Take the time now and again to clean out your gutters and downspouts of debris. This can save you from clogs and then overflows and ice dams which can utterly devastate a roof in only a single year. Let a restoration professional come and inspect your whole system once every few years to spot any obstructions that may become sources of breakage down the road and then lead to water damage. Inspect your pipes for any rusting, wear and tear, or puddles as this may be a sign of a future pipe burst location. Flooding from heavy rain can cause the pressure to rise in municipal systems. That pressure can then be released into your home through the water main. When this happens, 911 Restoration recommends that you call us immediately instead of trying to clean up the problem yourself. 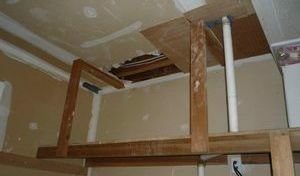 Our specialists have the right equipment to handle this problem with ease and safety, so give our water damage Caledonia experts with 911 Restoration Milwaukee a call today! 911 Restoration Milwaukee provides quality services that you can always rely on. You can rest assured that that pipe burst, roof leak, toilet overflow, or flooding is taken care of with expert water damage repair and restoration. We will even work with your insurance company to assist you in filing your claims. With years of experience in helping homeowners deal with water damage, we have worked on a variety of issues. We will even help out with the insurance paperwork involved too. Our team members make sure to always put the customer first. If any of those issues are affecting your home now, 911 Restoration will be there within 45 minutes of your call. When you’re looking for a fresh start, turn to 911 Restoration for our water damage Caledonia and give us a call today!